Every year in February, Bentley invites car enthusiasts to their Power on Ice winter driving experience in Finland. During this getaway, guests have the opportunity to get behind the wheel of the Continental GT to drive on the frozen lakes of northern Finland while being led by a team of expert instructors. This getaway also includes some very luxurious accommodations. The event kicks off with drinks and dinner at the Chalet Ruka Peak resort upon arrival. The following morning, guests are introduced to the Bentley driving team, and will then spend the morning on the ice under the guidance of an experienced driving professional. 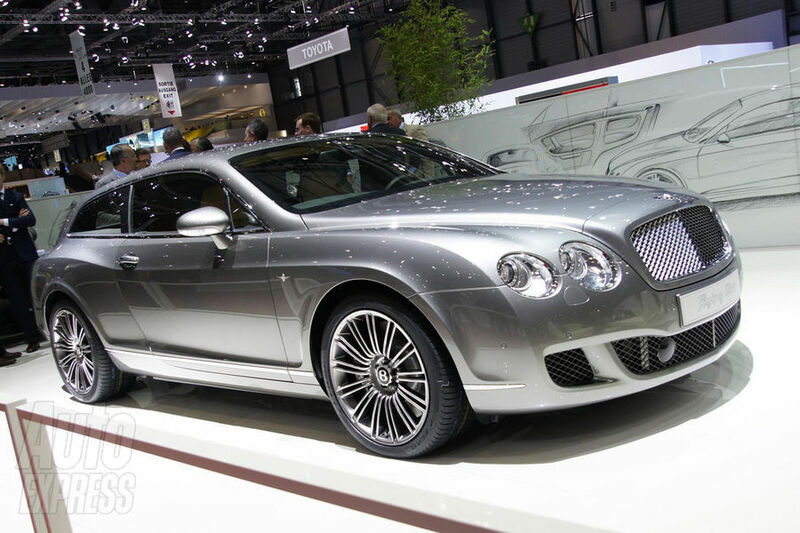 Have you outgrown your Continental GT? Do you find the Range Rover too common? 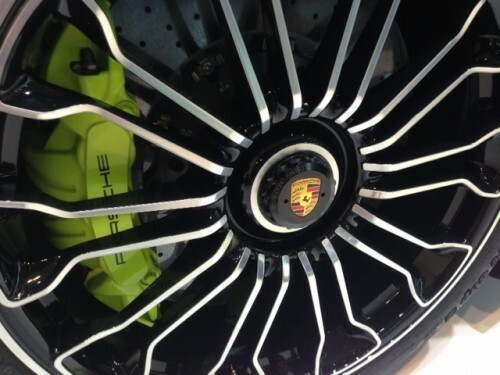 The Cayenne Turbo too slow? If you answered “yes” to any of these questions, Bentley has your answer. 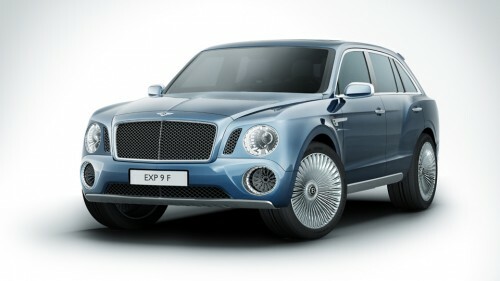 Welcome, everyone, to the Bentley EXP 9 F concept. Destined to be the most powerful and most luxurious SUV ever built, the EXP 9 F will be the third model in Bentley’s lineup, alongside the Mulsanne and Continental ranges. 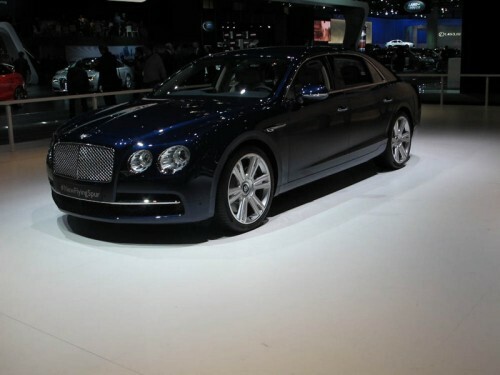 Revealed the night before the start of the Geneva Auto Show, the EXP 9 F is very elegantly styled, featuring a prominent hood, flat beltline, a generous grennhouse and Bentley’s hallmark matrix grille. 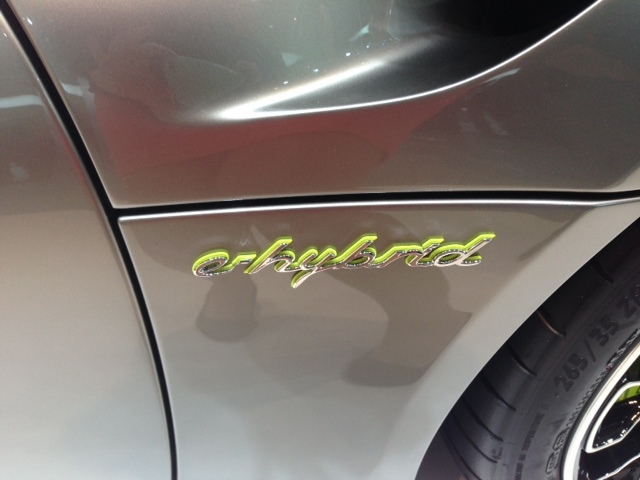 You’ll also recognize the well-defined power line that runs over the front fenders and through the door handles towards the prominent rear “haunch,” just as you’ll find on the Continental GT. The interior is as opulent as one would expect from the folks in Crewe, with leather, wood and chrome everywhere. The “T” shaped dashboard echoes the design found in the Mulsanne, and Bentley expects the EXP 9 F’s interior to set new benchmarks for luxury in the SUV segment. 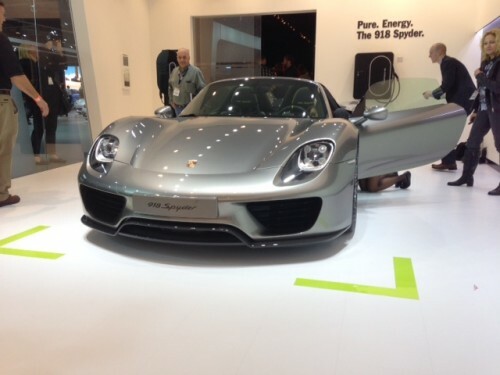 They also expect the performance to set new benchmarks for the SUV sector. Motiviation will likely come from the venerable 6.0L W12 found in the Continental Range with the power being sent through an advanced all-wheel drive system. 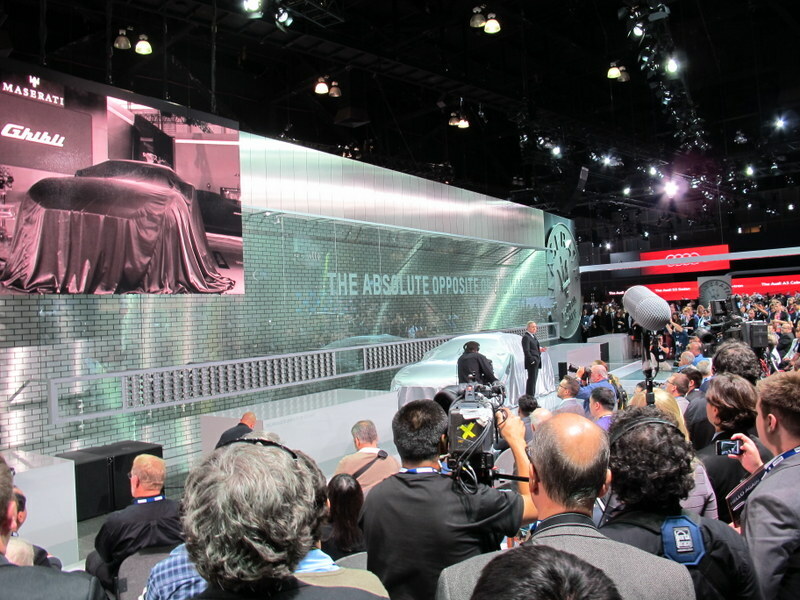 Power and torque figures haven’t yet been released, but expect to see north of 600 horsepower and more than 590 pound-feet of torque. Pricing hasn’t yet been released, but stay tuned to the Twin Cities Luxury Auto blog for updates as we get them. For those of you anxious to get line for the EXP 9 F, we expect it to be in our showroom by sometime in 2015-16. We’re now taking pre-orders. Head on over to Bentley Motors’ website for more information about the EXP 9 F, or over to Autoweek for their write-up on the EXP 9 F.
The name Juha Kankkunen should immediately resonate with all you rally fans out there. Just in case you’re not a rally fan and you’ve never heard of Kankkunen before, here’s the skinny. He’s a former rally driver for Toyota, Peugeot and Lancia and has won 23 individual rallies and has earned four world driver’s champion titles. Needless to say, the man can drive. What you may not know is that Kankkunen is a big fan of Bentley. 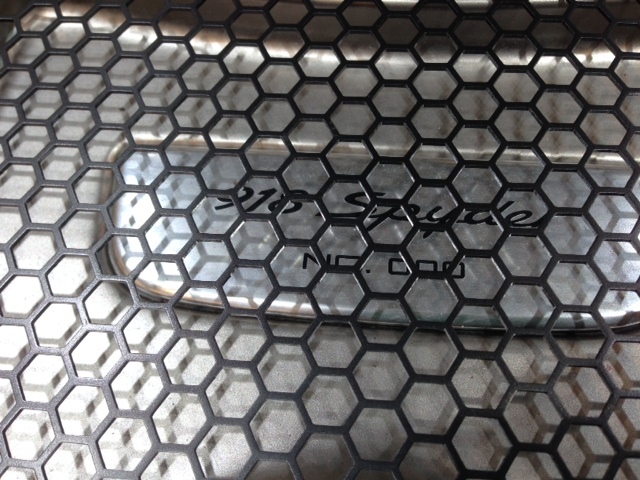 Such a big fan, in fact, that he set the world speed record on ice in 2007 with his own Bentley Continental GT. You read that right – he drove his own car at nearly 200 miles per hour on ice. 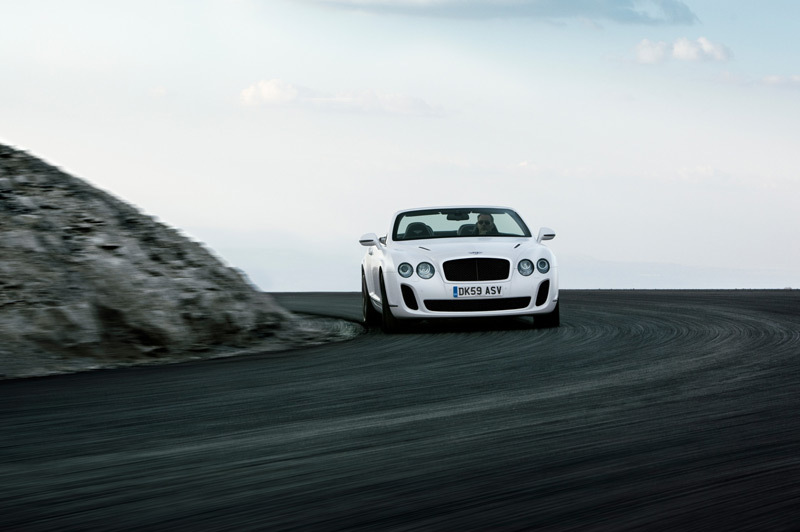 In 2011, Kankkunen beat his own record in a factory-provided Bentley Continental Supersports Convertible averaging 205.48 miles per hour (one run in each direction on the track). Both records were set in largely stock vehicles, save minor aerodynamic improvements, the addition of roll cages, studded Nokian tires designed specifically for the task, and that’s it. 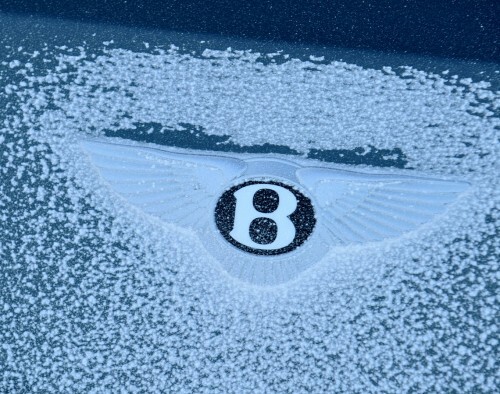 To see what it’s like to drive a 5000-plus pound car at insane speeds on a frozen fjord, Bentley invited some of its best-performing dealers to attend a driving event in Finland. 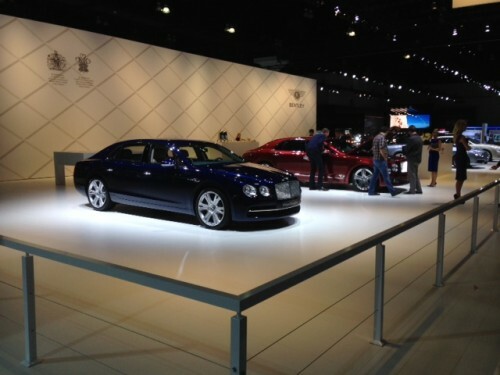 Our General Manager was the fortunate one from Bentley Minneapolis to make the trip. Bentley provided lots of seat time for Matt and the other folks who were there, but the best part may have been the ride along with Juha himself. Luckily for us, Matt brought a camera with him to capture the experience. 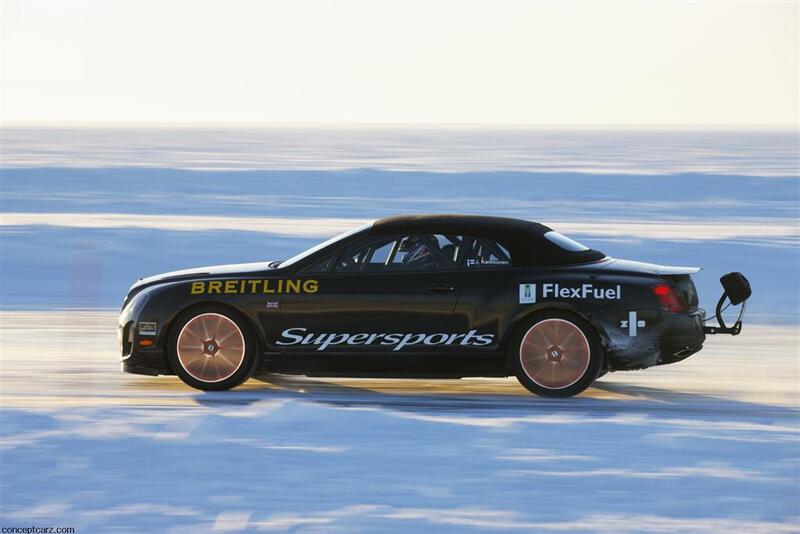 Check out the video below to see what it’s like to ride with a world-champion rally driver in a 621 horsepower Bentley on nothing but ice and snow. 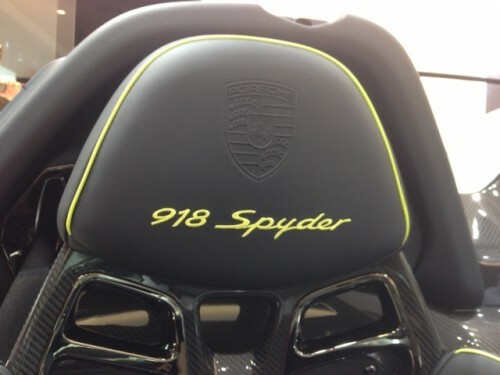 Note: the car in the video is the very same Continental Supersports Convertible that set the 205-MPH record in 2011 (shown in the photo above). 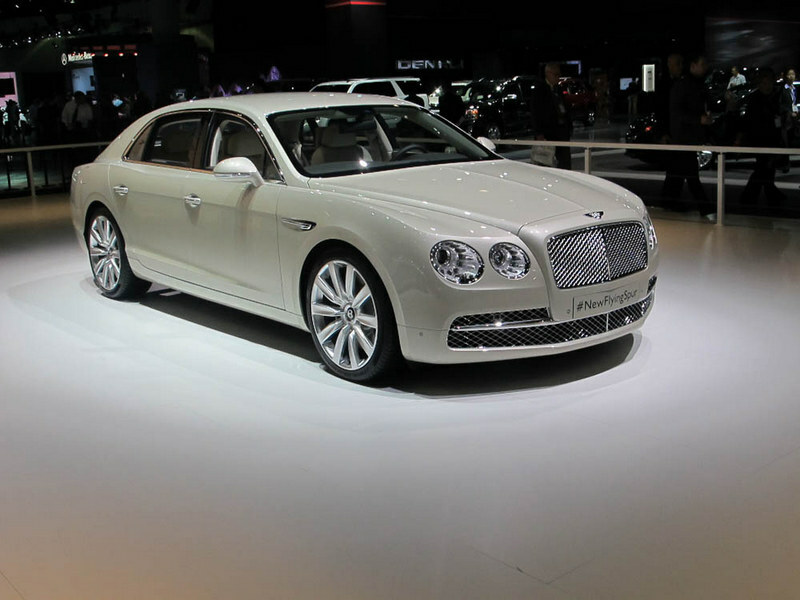 It’s no secret that Bentley’s sales have lagged a bit in the past couple of years. 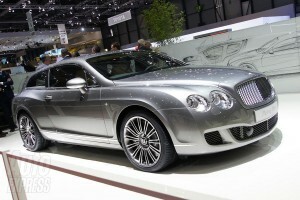 To combat that decline, the folks in Crewe have put a great deal of focus into strengthening their line-up with cars like the Continental Supersports, the Mulsanne, and the soon-to-be-released 2012 Continental GT. It looks like they aren’t going to stop there, however. Nothing has been confirmed yet, but we may see something along the lines of a Mercedes CLS competitor, as well as a crossover to fight the likes of the Porsche Cayenne and Maserati’s upcoming SUV. Rumors continue to swirl that incoming Bentley boss Wolfgang Dürheimer, who previously served as head of research and development at Porsche, is looking long and hard at how to expand the luxury marque’s product line. Considering Dürheimer’s experience making magic happen at Porsche, it seems likely that Bentley would tap into the platform used for the Panamera sedan, and that’s exactly what the blokes from Auto Express are suggesting. The first new model may be an ultra-luxe machine that would fit into the burgeoning four-door-coupe segment. If so, expect a price tag in the mid-$250,000 range and engine choices ranging from the tried-and-true W12 to a new turbocharged 4.0-liter V8. Those powertrains may also find their way into the engine bay of a Bentley crossover, says Auto Express. As much as some may protest, a Porsche Cayenne-based Bentley with a price near the $200K mark would seem a very real possibility… as would an optional diesel engine, which would be new territory for the brand. Finally, the long-rumored entry-level (can anything with a $150,000 price tag be called entry-level?) Bentley coupe that would slot below the Continental GT is still a talking point. Branching out into any or all of these segments are seen as a way to get back to the 10,000-unit peak sales year of 2007, as compared to just 4,616 units in 2009. Head on over to Auto Express to see some rendered speculation on what these vehicles could potentially look like. 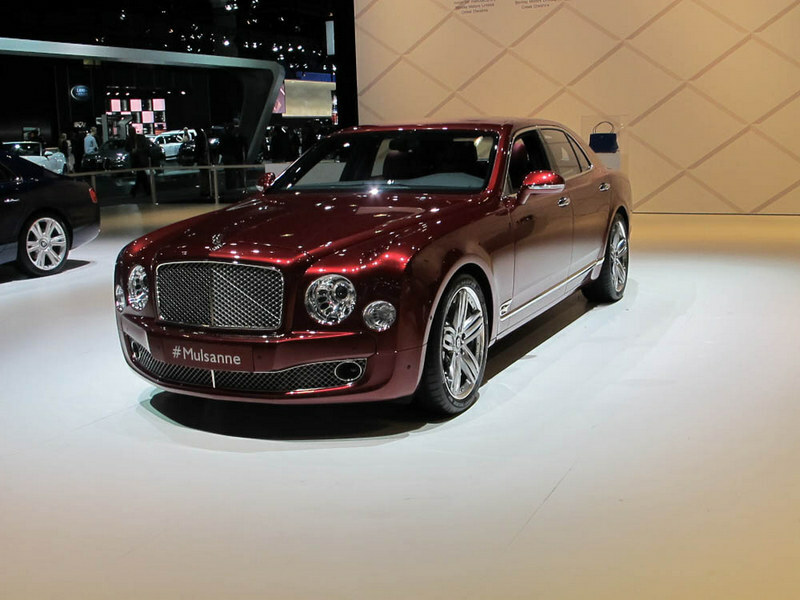 The 2011 Bentley Mulsanne is, on paper at least, everything a big Bentley should be. Beautiful? Powerful? Luxurious? Yes, yes, and yes. “Great,” you may be thinking, “but does it drive like a big Bentley should?” Well, thanks to Old Man Winter, none of us here at Twin Cities Luxury Auto have actually driven the car on U.S. soil. 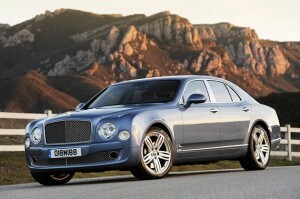 Thankfully, the good folks over at Autoblog just published their own review of Bentley’s new ultra-luxury sedan. Head on over to Autoblog.com or click here to read the entire article. Oh, and follow that starting procedure carefully. 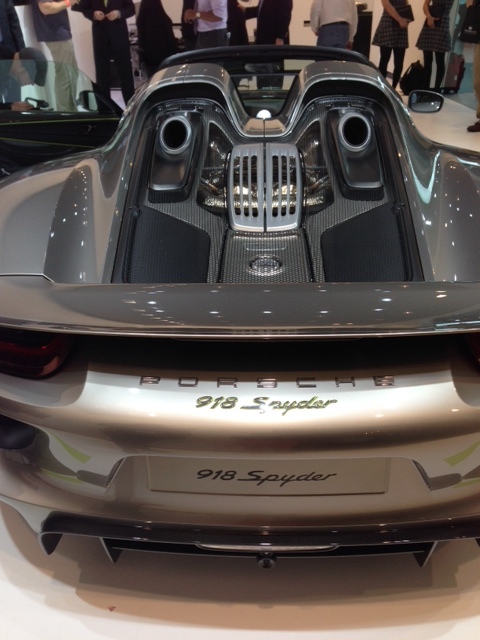 Like the best dessert at your favorite restaurant, this car is best when savored. Sensible bites, everyone. 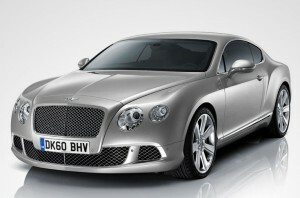 2011 Bentley Continental GT is TopGear’s Grand Tourer of the Year! Carrozzeria Touring Superleggera has unveiled a shooting brake version of the Continental GT, custom built for an avid collector, and have announced they will build up to 20 examples. 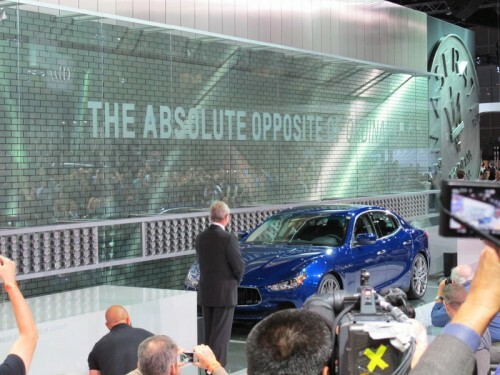 Carrozzeria has been better known for their work with Maseratis over the past few years, but according to AutoExpress this car has proven to be one of the favorites at Geneva this year. 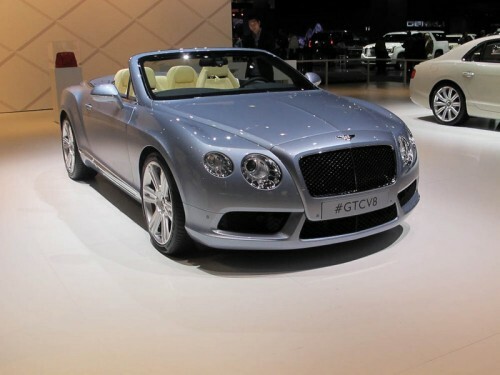 This car is based on the Bentley Continental GTC Speed, with extensive modifications from the A-pillars back, including widening the rear bodywork, re-skinning the doors, and re-working the rear compartment to include two folding rear seats. With the rear seats folded flat, the car can hold about 42 cubic feet of cargo. Touring Superleggera claims that four sets of golf clubs can be accommodated with the rear seats up. Touring Superleggera and Bentley Motors have developed a special mutual warranty program, which safeguards warranty clauses for both the basic car, and the transformation by Touring. The car will be serviced at Bentley dealers. 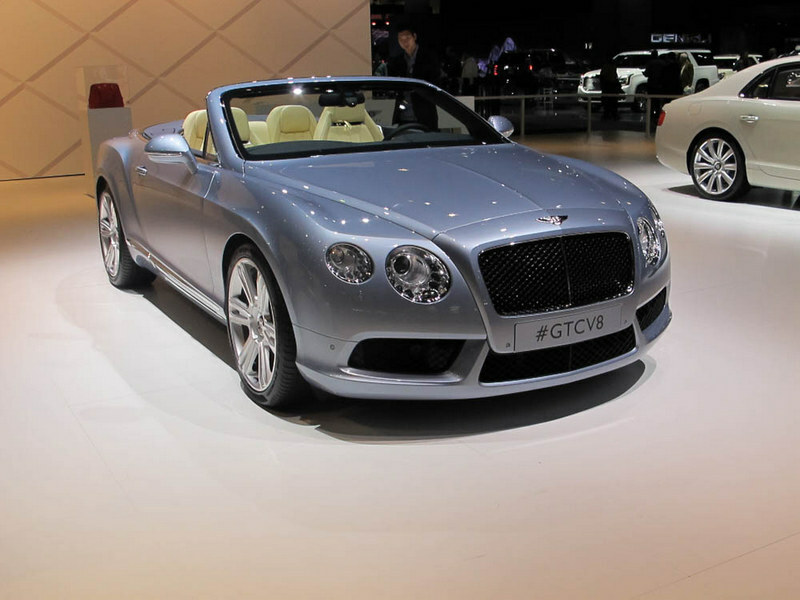 Bentley has announced they will produce the Continental Supersports in a convertible body, and adoption of their flexfuel technology across the Continental range of cars.